A big thank you to one of our newest CMN Hospitals Partners Florida RX Card! 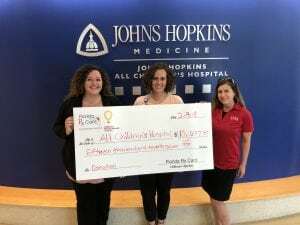 Florida RX Card began raising funds and awareness for Johns Hopkins All Children’s Hospital in 2016. In that short time they’ve raised $15,077.45 for the kids at Johns Hopkins All Children’s. Donations raised by Florida RX Card will be used where they are needed most at Johns Hopkins All Children’s – supporting patient care, training future doctors and nurses, and researching better treatments and cures to help future generations of kids. Thank you so much for helping us provide healthy tomorrows for one child…for all children.